A month ago, a customer brought me a boxful of beautiful vintage tapestries, stitched around 50 years ago by her late mother. They had been packed away for some decades but my customer felt it was high time they saw the light of day. 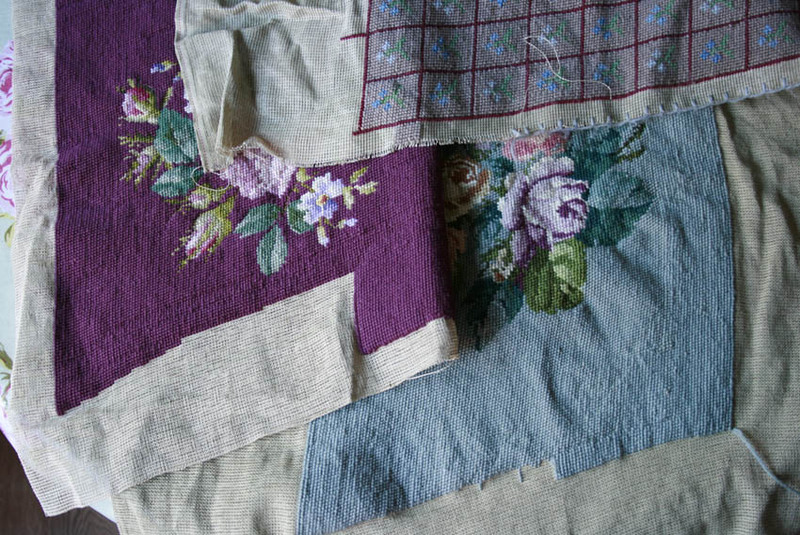 Her mother had stitched them despite failing eyesight, and although this was evident, it did not spoil the needlework in the least, but captured the time when she was enjoying her stitching too much to stop. Extra patches of stitching and rows from nowhere on the fine double thread canvas meant that after two stretchings they were still pretty wonky, but the central part of the design was looking fine. Off I went to my cushion lady who wasn’t remotely phased! She would make cushions with straight edges, no matter where the rows of stitching went. Two fat cushions and a tie-on squab for a small chair. Thank you Annie for trusting me with your precious tapestries and allowing me to show them here on my blog. If you have a collection of tapestries tucked away somewhere, it is so worthwhile to have them made up. The transformation is astonishing, and no matter how wonky they are, the needlework always triumphs in the end. 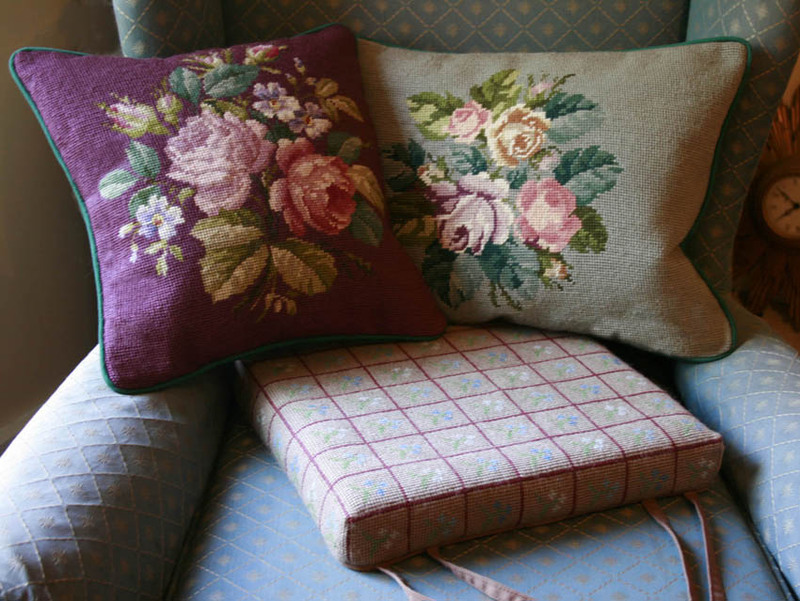 Here is an earlier blog post New from Old about some vintage tapestry cushions we rescued for a friend.